Solar Eclipse-Depth of Darkness is an upcoming Hollywood feature historic film based on the world politics immediately after Indian independence and partition. It is set in a violent India, divided on religious grounds. 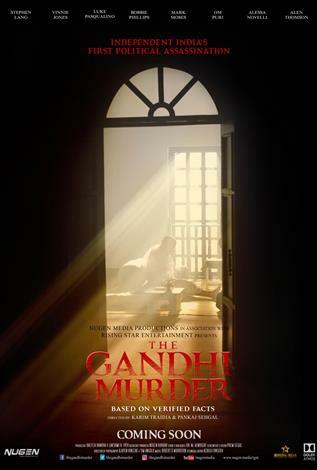 The feature takes an alternative view of the events that led to the assassination of Mahatma Gandhi on 30 January 1948. Produced by Ralitza Ivanova, Moobi Alwright & directed by Karim Traidia and Pankaj Sehgal, the film is featured by Stephen Lang, Vinnie Jones, Luke Pasqualino, Om Puri, Bobbie Phillips, Mark Moses, Rajit Kapur, Govind Namdeo, Raajpal Yadav, Anant Mahadevan, Avtar Gill, Gauhar Khan, Elissar, Vikas Shrivastava, Behzad Khan and introduces Vivaan Tiwari, Alen Thomson and Alessa Novelli in key roles. Read more on Wikipedia.